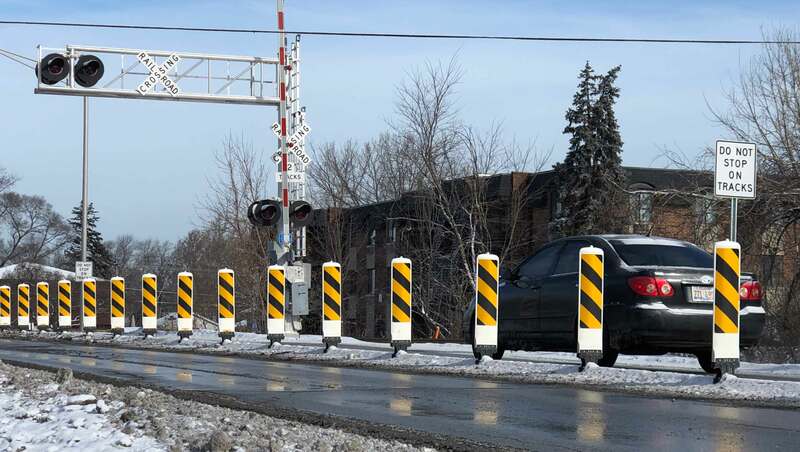 Studies have shown using QWICK Kurb Channelizing Systems at grade crossings can decrease gate rushes by 70%*. 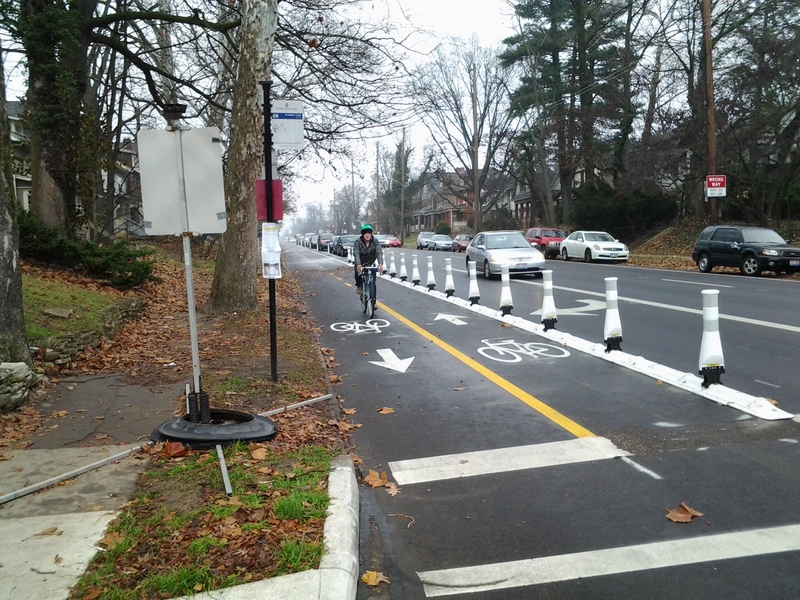 Use of a median separator such as a QWICK KURB System is an approved recommendation by the FRA to create community Quiet Zones. According to the Federal Railroad Association, studies conducted at locations where traffic channelizing devices have been installed show positive changes in unsafe driver behavior as a result of the treatments. 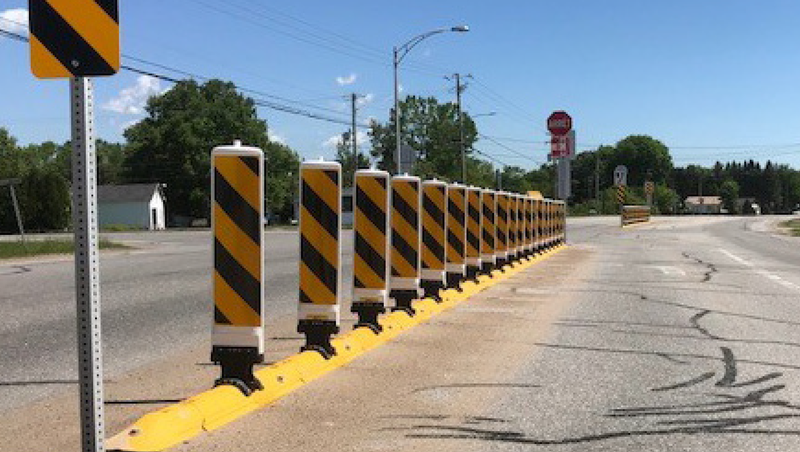 When meeting certain requirements, traffic channelization devices and median barriers are an approved supplemental safety measure for the establishment of quiet zones. 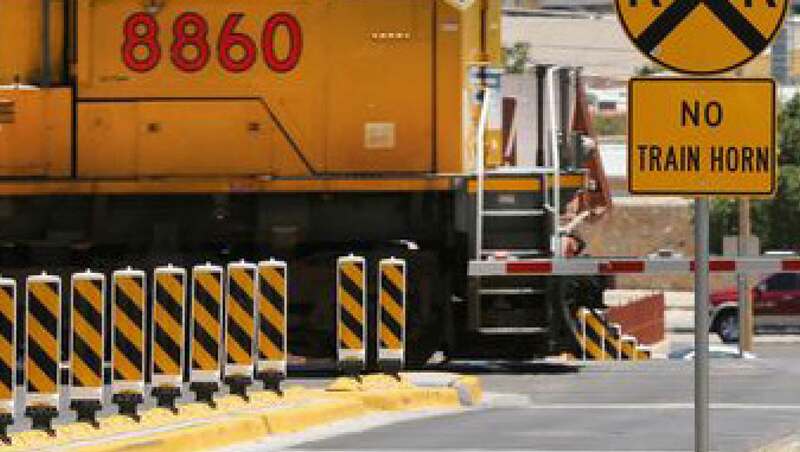 Traffic channelization devices are low cost and this makes them an attractive option for improving safety at highway-rail grade crossings. 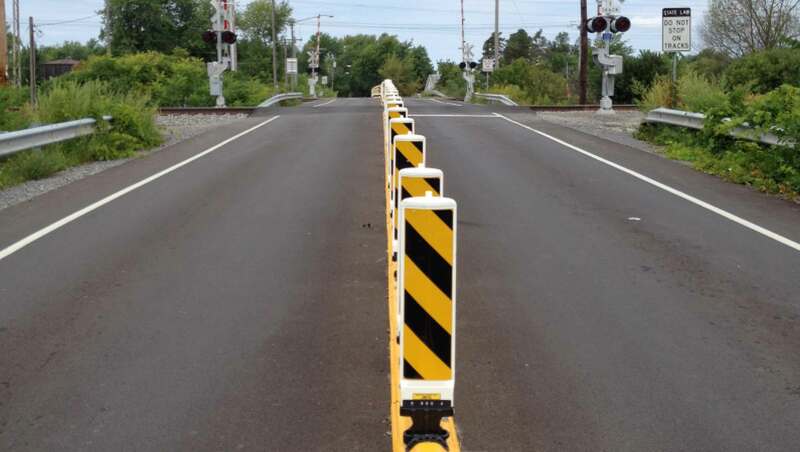 When the QWICK KURB System is installed between yellow lines in a median at a grade crossing intersection, motorists are discouraged from driving around an active railroad gate. QWICK KURB BIG BOLLARD™ Markers and Continuous Curbing have been tested for over 20 years in all weather conditions. Panels can accept up to 224 square inches of reflective sheeting per side to achieve the highest level of night visibility. 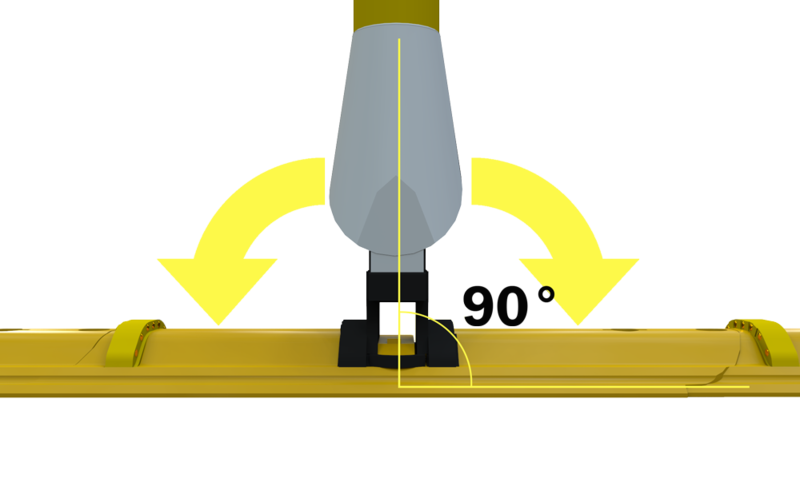 In addition, the unique two-part vertical, with rebounding boot support, allows markers to remain upright in the most demanding environments. Each durable raised curbing element is anchored to the road surface and interlocked with other elements to create a permanent bond with the roadway. A heavy duty hook is molded directly into the curb to further strengthen the system. 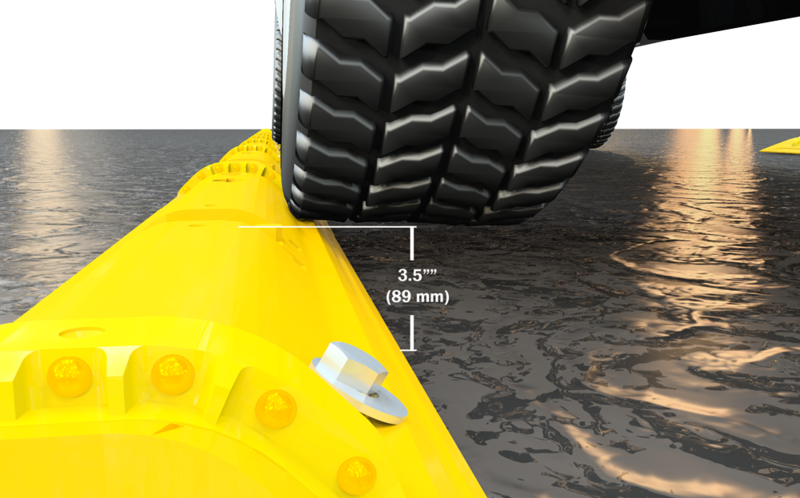 The two-tier profile is designed to help keep curbing stationary during run overs. In addition, continuous curbing is only 10 5/8” wide so it easily fits within double yellow lines. 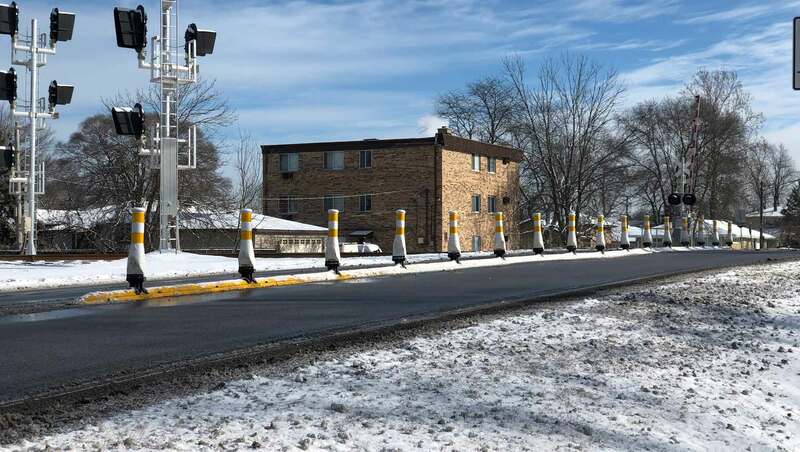 QWICK KURB Continuous Curbing along with a single crossing gate meets federal regulations as a “Supplemental Safety Measure (SSM)” to establish a Quiet Zone so train horns won’t be required when a train is present. While SSMs are generally expensive, the QWICK KURB System is the exception. 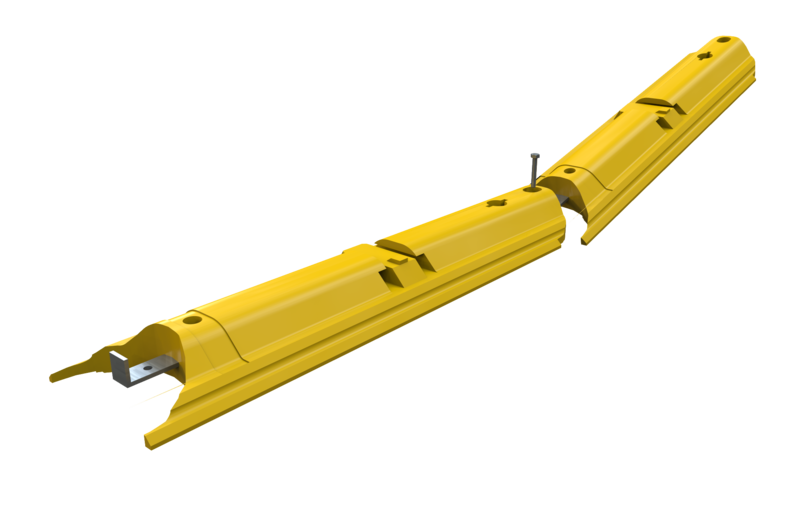 Two 100 foot sections of QWICK KURB can be installed in about three hours at a fraction of the cost of other SSMs. 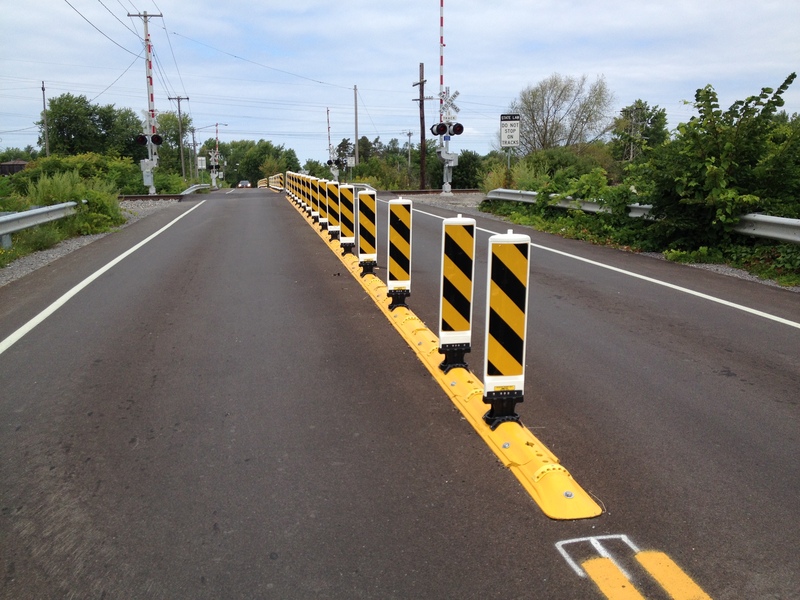 Grade crossing safety upgrades, where the QWICK KURB System is installed, have proven to be effective in both rural and urban communities. 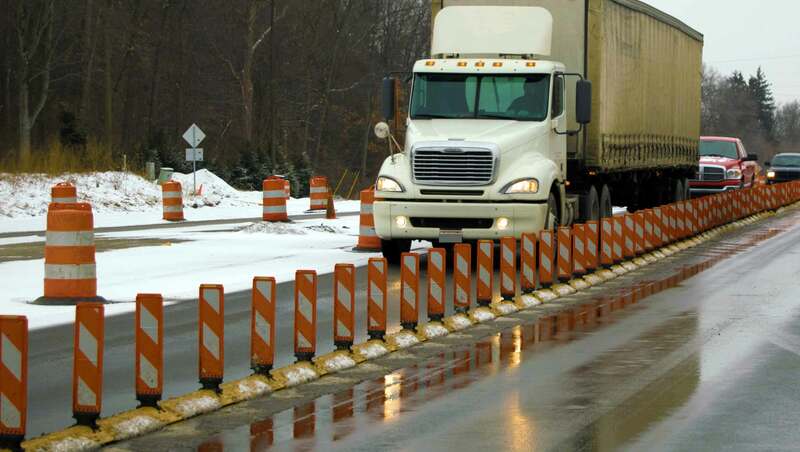 A mountable median with channelization is the most cost effective Federal Railroad Administration Supplementary Safety Measure >>> The QWICK KURB System is the most durable mountable median channelizer available.